So, off late, I have been looking for a good detailing solution for my recently purchased Honda Jazz. 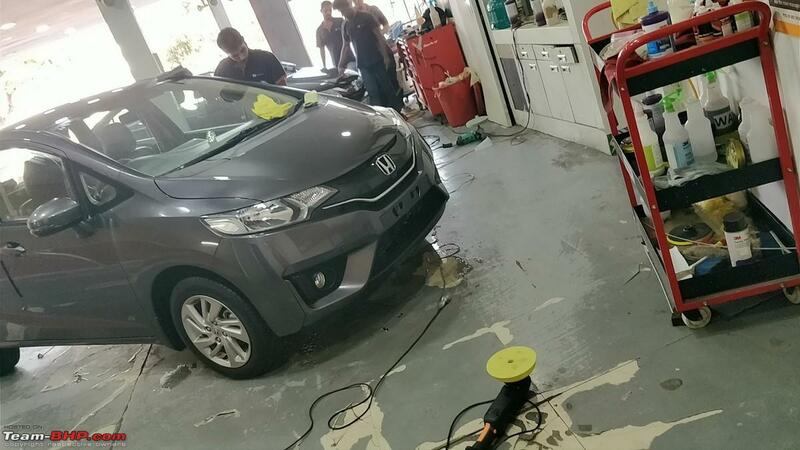 And as every one might be aware, the term Ceramic Coating is being pushed hard by almost every detailing centre. 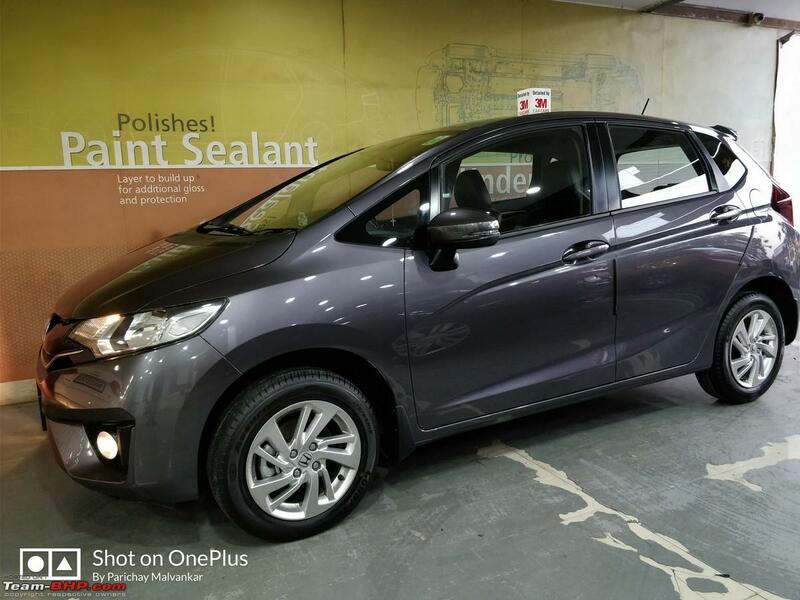 For a ceramic coat on a brand new car, pricing goes for a single coat in the range of INR 20,000 - 30,000 for a Jazz. That's outrageous. 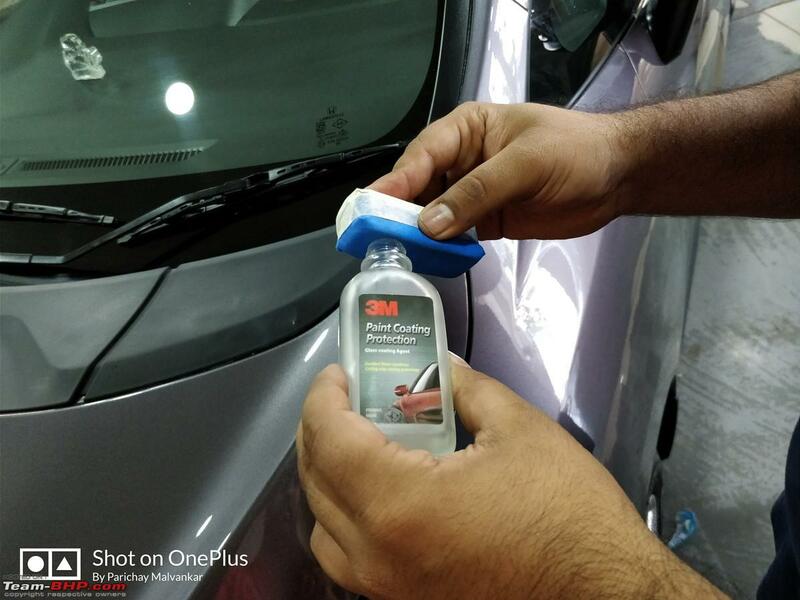 Reaching out to 3M Car Care centre in Thane (Me being their first ever customer in the city), I was informed that they are coming up with something similar, and easier on the pocket. 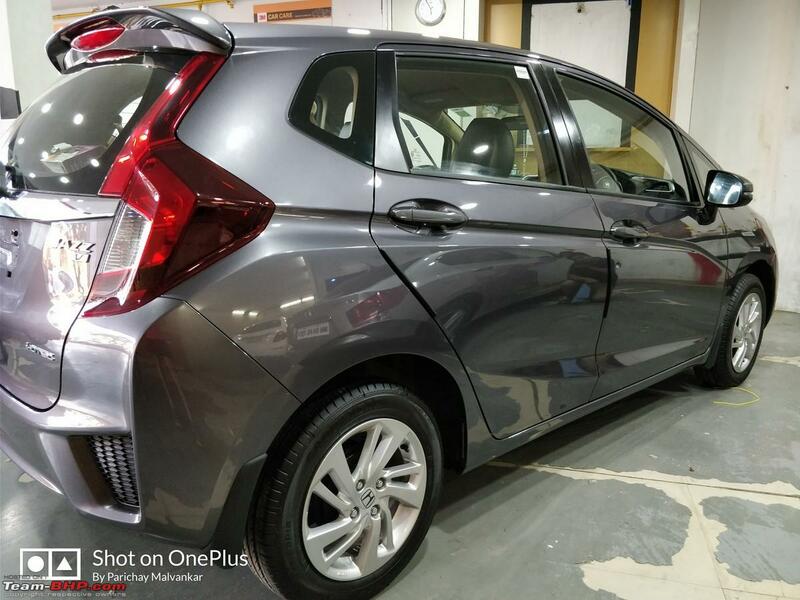 So here it is, I went ahead and got their Hyper Shield coating done on my Jazz, and I'm pretty satisfied. At 3M, prices are expected to begin from INR 11,000 (depending on size of car) for this Hyper Shield coating. Since the official pricing isn't announced, I am yet to pay for my cars detailing, but nevertheless, I trust 3M over any other detailing centre with eyes shut. PS. 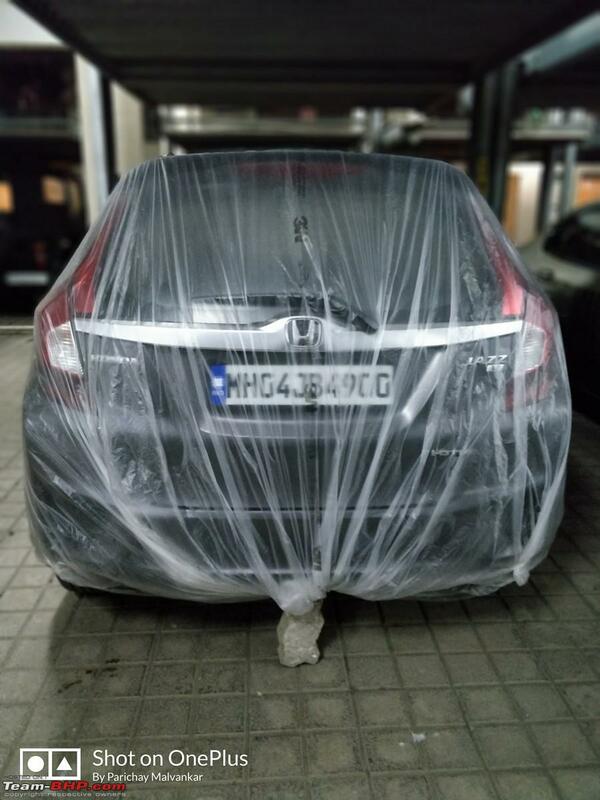 : The Hyper Shield coat is fast absorbing, the guy applied it on the car, left it for 10 minutes and wiped it off. 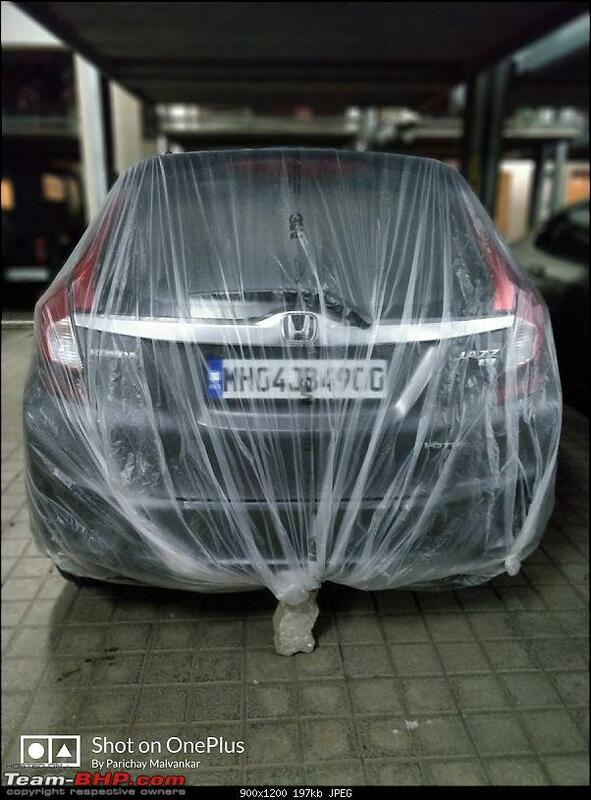 So you need not keep the car at the detailing centre overnight. My major worry taken care off thanks to this. The Hyper Shield service is not available at all 3M centres yet. This is introduced in Thane & Borivali for now, and will be launched at all outlets in a phased manner. Move your fingers over the body post the treatment, and the satin-like finish will leave a wide grin on your face. Not sure how much it will prevent from minor scuffs & scratches, but at least the paint is protected from fading now. The applicator needs to be trained a little better, needs to apply more evenly before wiping off. May be practice will make him perfect. 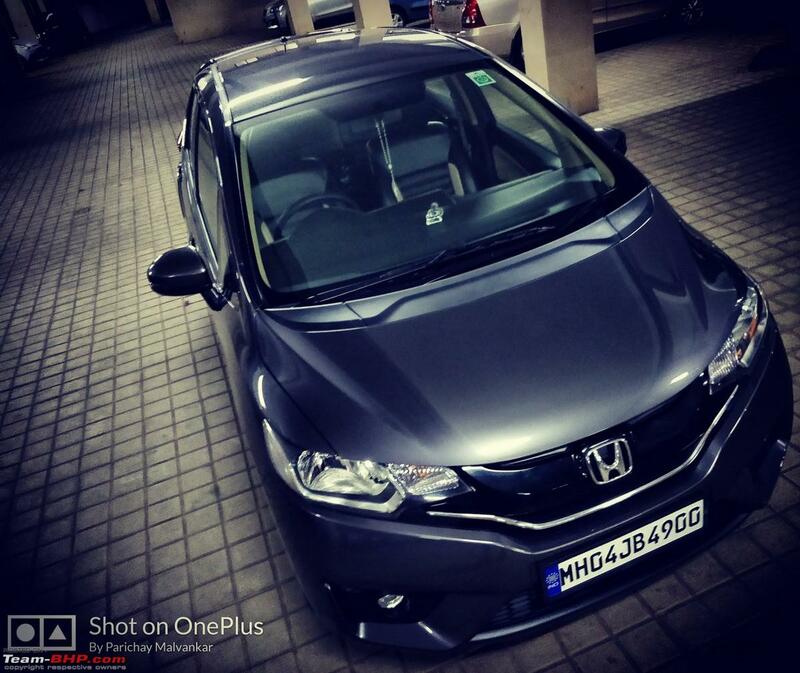 There were numerous swirl marks on the bonnet within a month of ownership because of washing & wiping. 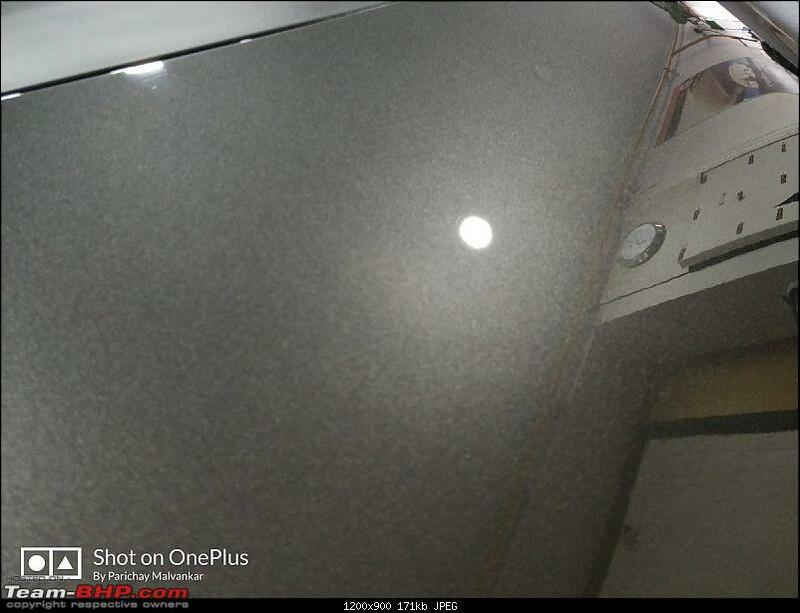 3M did a fantastic job of getting this better than showroom finish on my Jazz. Since I was leaving for the Auto Expo, this is how I packed things up. We all love our cars, don't we? A happy man!, especially after this horrible experience with Mahindra. Last edited by parrys : 2nd February 2018 at 16:26. I have been pondering over ceramic quoting for quite some time now, however, have not been convinced because none of the big boys like 3m offered this service. Do keep us posted on how this holds up over time. Perhaps try washing your car without a microfiber cloth for a month to see if it is truly resistant to swirls. 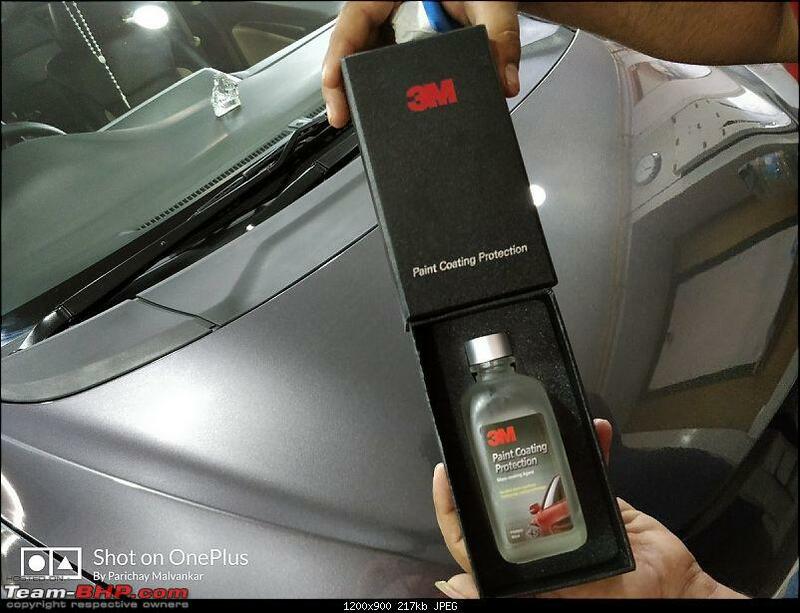 Does 3m guy any guarantee/warranty on the coating? Also, how come the word ceramic is not written on the bottle? Thanks for sharing. I had been told by 3M stores that they would be launching this very soon. This was available since many years in other countries. Why would I check for swirls by doing this? I have started washing my car by my self, twice a week. With a microfiber cloth. They don't want to use the term ceramic it seems. It is called Glass Coating Agent on the bottle. Yeah, about time. I am told pricing will be out in a few days, and so will my bill. We all love our cars, don't we? Dude, please do not leave your car covered up like that. The moisture trapped inside the cover would lead to rust formation. Have made multiple pin holes all around the cover. But still, this is a very thin film of plastic. I'm not aware that it can cause rusting due to moisture. The car is not being washed throughout, and is inside a podium parking. Put some silica gel packets in there for moisture wicking and you're set and you wouldn't even need to poke holes and potentially allow dust entry. Silica gel based dehumidifiers also work in case of a sealed packing. Last edited by sohail99 : 3rd February 2018 at 01:08. They don't really sell it, but you can pay a nominal amount and get it on request. Any coating, ceramic or whatever will eventually get swirls if you use a bad technique. 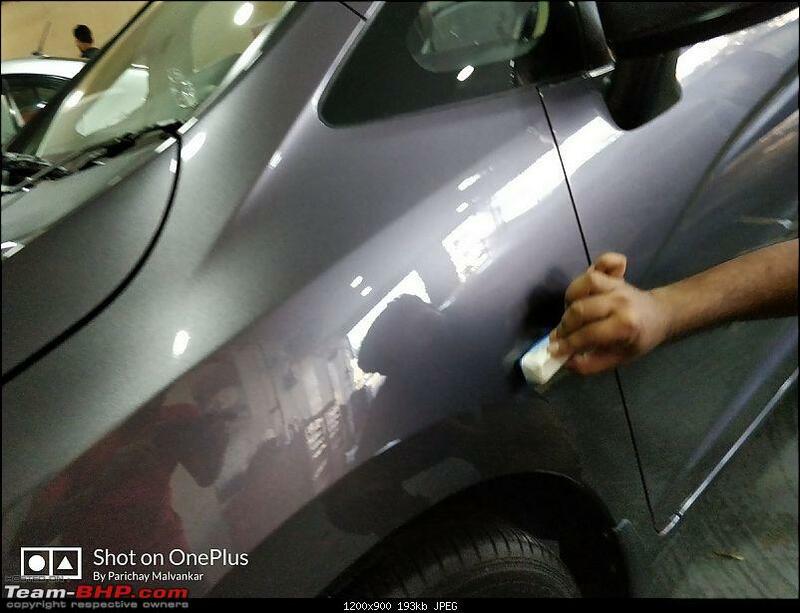 The difference is that the swirls are ON the coating which in the long run is replace-able unlike the OE paint of your car. 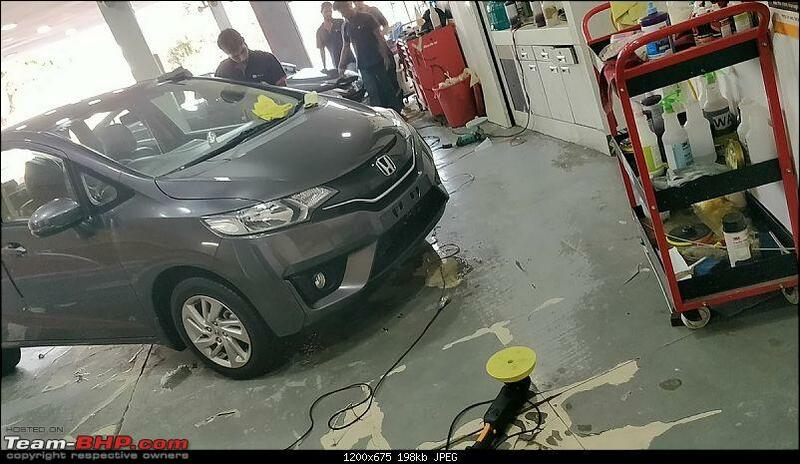 So, if after 1-2-3 years you find your coating has too many swirls, you can just get it repolished, apply a new layer and your car will look like better than new. And in all of this, your original paint is untouched (more or less). Maybe the 3M stuff doesnt have the word Ceramic in it because it isnt a Ceramic one? I feel 3M dropped the ball on this. Ceramic has taken the world by storm for a reason. It doesnt matter if the "big boys" dont have it. Detailers the world over have used Ceramic Coatings and they work. I will trust the "small boys" more than the "big boys" because the "big boys" will always have money to buy publicity. But Ceramic coating from relatively small companies (compared to 3M) is more known and famous and better than anything 3M makes currently (with the exception of Hyper Shield as it's too new, so no opinions yet). The Jazz is shining Parrys. How much time did they require to apply this treatment.? 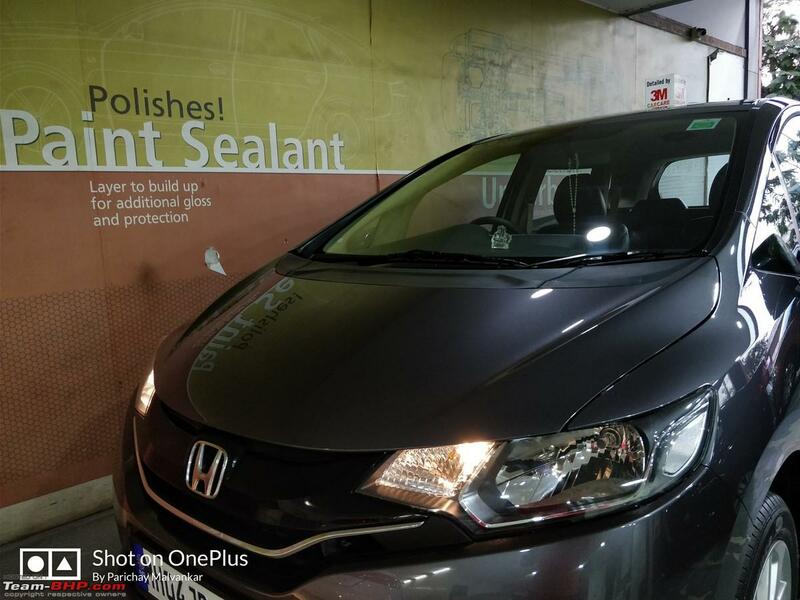 How long will this glaze last considering the monsoons and dirty environment if the car is parked outside instead of covered parking? Mangesh of Maxshine offers Ceramic coating for some 25K and said the treatment lasts for max 1 year or maybe a couple of months extra. I did get an SMS from Sheshadri reg the treatment but he didnt disclose the pricing then. Knowing that everything at 3M is over priced, I would expect the prices to be no VFM. They took around 6 hours. My car didn't need sanding as it was brand new. Have mentioned the process in the first post. I did visit Maxshine as well, but somehow I trust 3M more because all my cars have come here. PLUS, 3M has a washing centre. 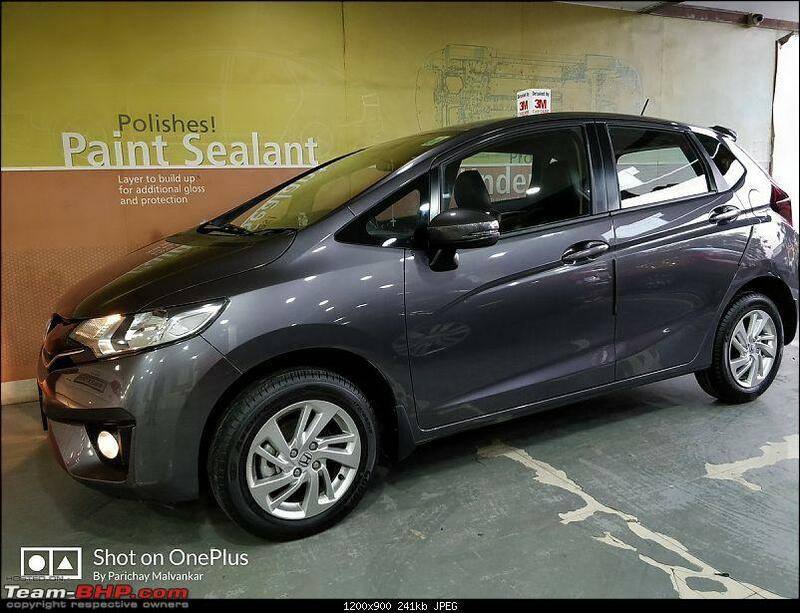 At Maxshine, someone drives your car to a washing centre & brings it back for polishing (a big NO for me). But Mangesh & team are gaining popularity with each passing day for this ceramic treatment. This lasting bit is a trick from all brands I guess. Any coating is going to lose its effectiveness within a few months of washing, dust accumulation & other wear and tear. So they offer a second coat on your car. That's how it lasts for a year. What I am happy about is that the paint is kept safe, plus I keep the car covered at all times and wash it myself. So nothing to worry on that front. Well, about pricing, 3M says they are going to be competitive. Let's see. Maybe the 3M stuff doesnt have the word Ceramic in it because it isnt a Ceramic one? I feel 3M dropped the ball on this. Ceramic has taken the world by storm for a reason. It doesnt matter of the "big boys" dont have it. Detailers the world over have used Ceramic Coatings and they work. I will trust the "small boys" more than the "big boys" because the "big boys" will always have money to buy publicity. But Ceramic coating from relatively small companies (compared to 3M) is more known and famous and better than anything 3M makes currently (with the exception of Hyper Shield as it's too new, so no opinions yet). I've never had any bad experience with them 'Big Boys', so really trust 3M. Ever since they set shop in my city, this is my go to place for detailing & even washing. I agree that there might be small time shops who do just as good a job. I don't know about terminology. But ceramic is being used too much may be? I was told that this coating is just the same, just called something else. 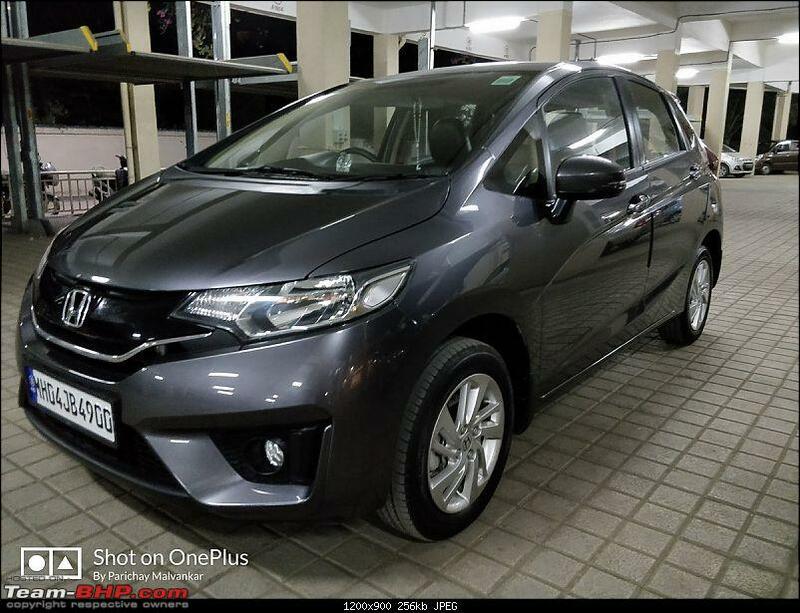 When you move your fingers over the body (after the treatment), you get the same satin-like feel like a ceramic (felt on my friends Honda City). But you never know, what's in the bottle with both parties (small boys & big boys), we really don't know. Proper high solid clear from 2k, Standox, Sikkens etc is maximum 3000 to 5000 a liter. 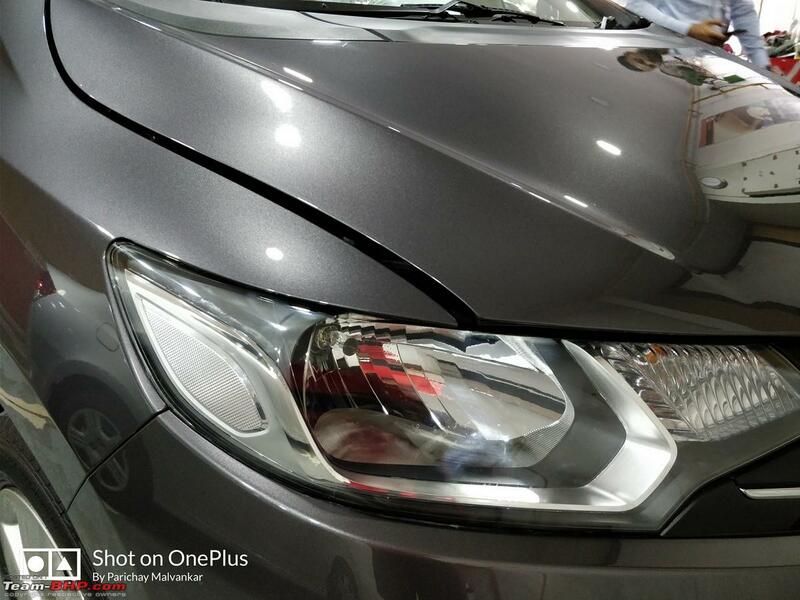 With sanding, a car with scratches or swirls and applying clear over will be more long lasting. Even a normal wet sanding with 1500 or 2000 grit will remove swirl marks. Last edited by GTO : 4th February 2018 at 11:34. Reason: CAPS etc. 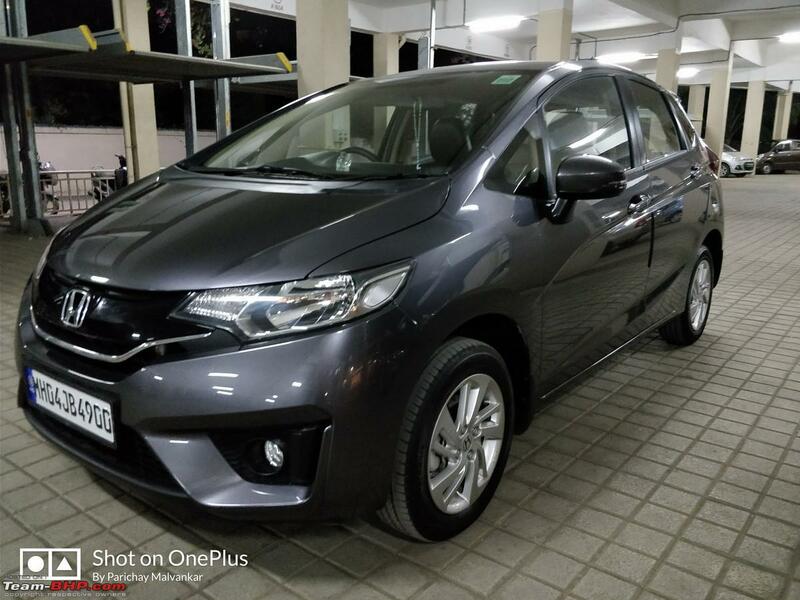 Your car looks stunning. If it is the same principle that other guys are doing then it's good that 3M joined the party. Better late than never. There are multple terms used for this. 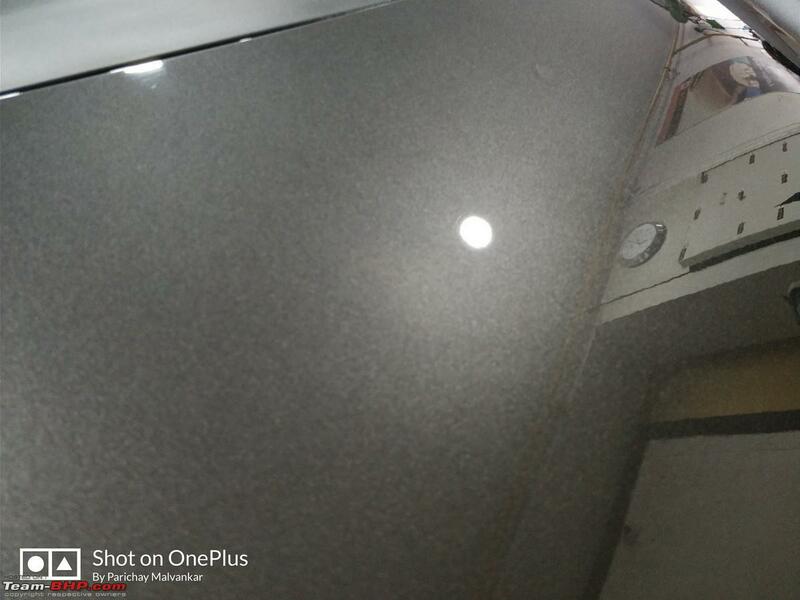 Ceramic Coating, Nano Coating. Glass Coating. Personally, I did not have a good experience with 3M. 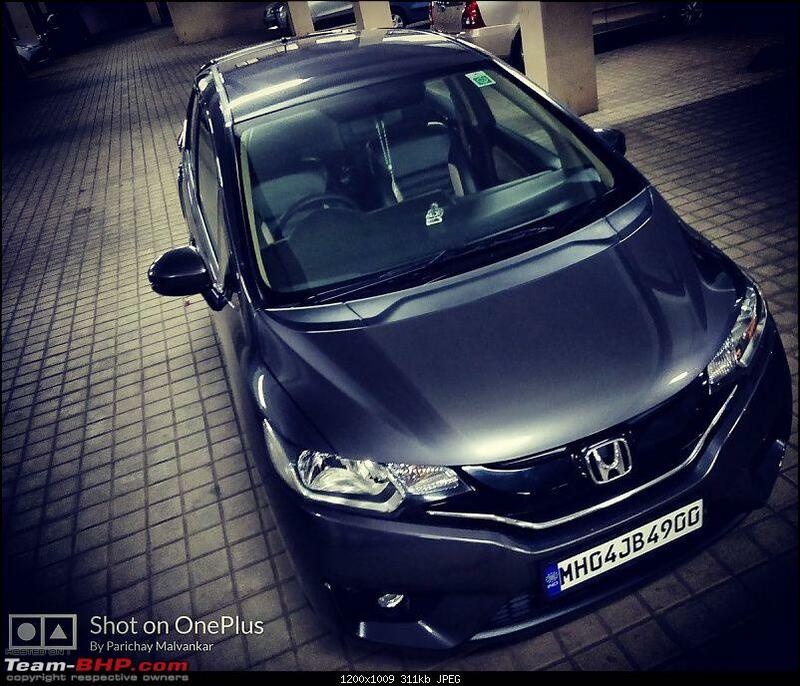 Had a good experience with Sidhu in HSR layout and one 3M in Gurgaon. But many other 3Ms left a lot ot be desired. My experience with 3M was that they over promised and under delivered. The car looks great Parrys. 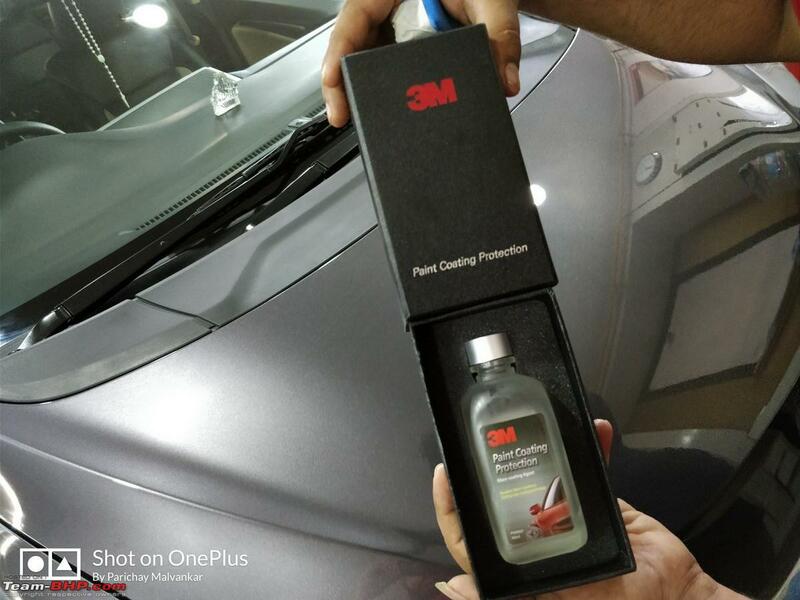 I did have the 3M annual package for their paint sealant treatment. This used to be their premium detailing package until this new product came out. Quite frankly, I was pretty disappointed with that package. My car is black and with the frequent visits, it seems the polish or wax or whatever has actually faded the paint. I am considering ceramic coating but not sure if it will bring the shine back on the car. Prices are exorbitant. They are asking around 72,000 for their premium package. It doesnt matter if the "big boys" dont have it. Detailers the world over have used Ceramic Coatings and they work. I will trust the "small boys" more than the "big boys" because the "big boys" will always have money to buy publicity. But Ceramic coating from relatively small companies (compared to 3M) is more known and famous and better than anything 3M makes currently (with the exception of Hyper Shield as it's too new, so no opinions yet). I beg to differ on this. I trust the smaller/individual shops on their process and skill to execute the job well. But I do not trust that they can make a better product as often they don't access to the level of R&D and technology that biggies like 3M have. There is a trust factor developed based on the history of the company based on their track record, that they will do proper longer term testing before launching a product/technology. Whereas a XYZ brand might not do so and look at short-term objectives. Ofcourse this is highly subjective and not every case is the same.